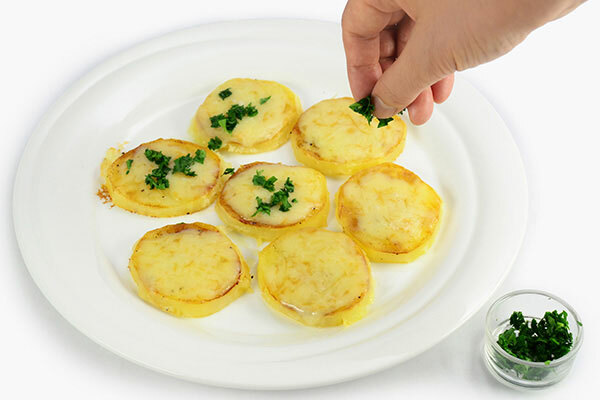 The lightly peppered potato slices are grilled to perfection with an addition of smoked cheese at the end. Here’s a tip, the more cheese the better! 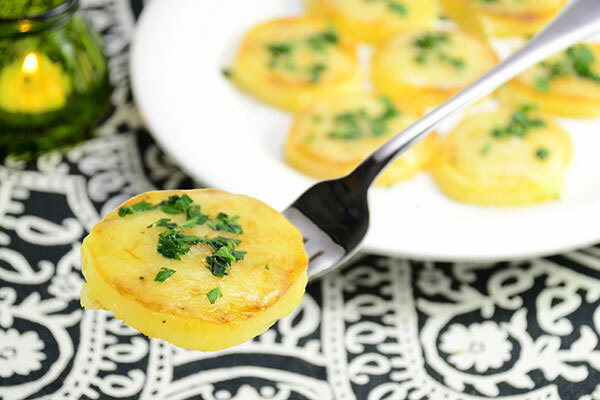 This is a perfect dish for an appetizer or side! 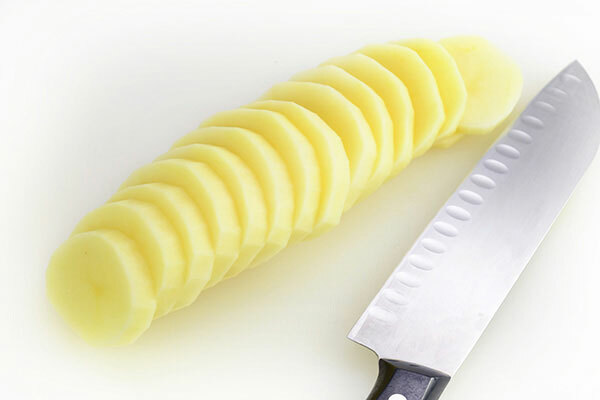 Peel potato and slice into 1/4 inch thick slices. 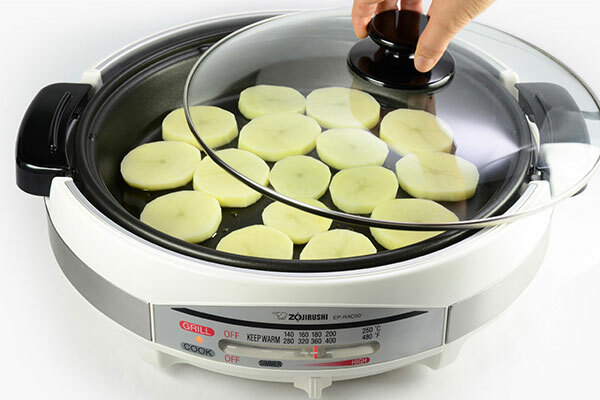 Place olive oil and potato slices into the Gourmet d’Expert® Electric Skillet, and set to 360ºF. 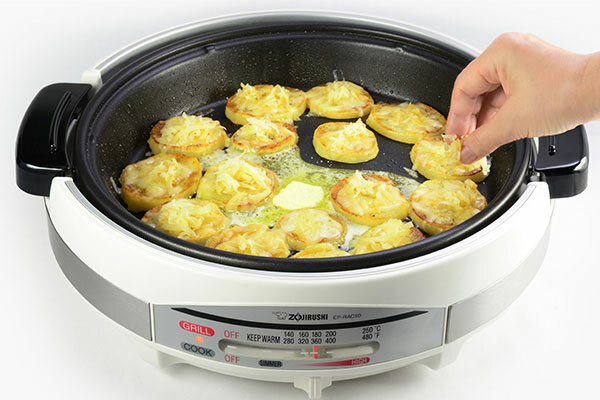 Cover with the lid, cook until potato slices turn golden brown about 10 minutes on each side. Dissolve salt into water then add to the skillet, cover with lid and cook for 2 minutes. 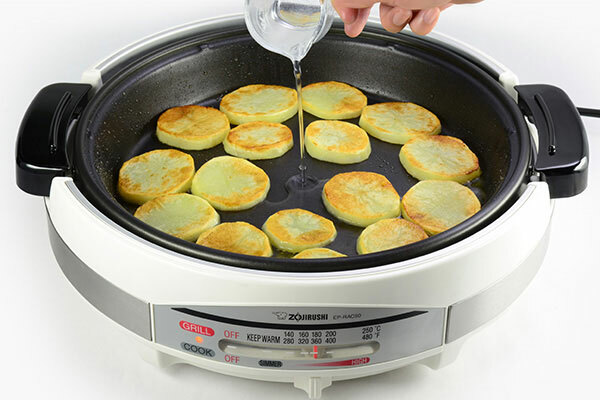 Remove lid and cook until the water evaporates, about 1 minute. 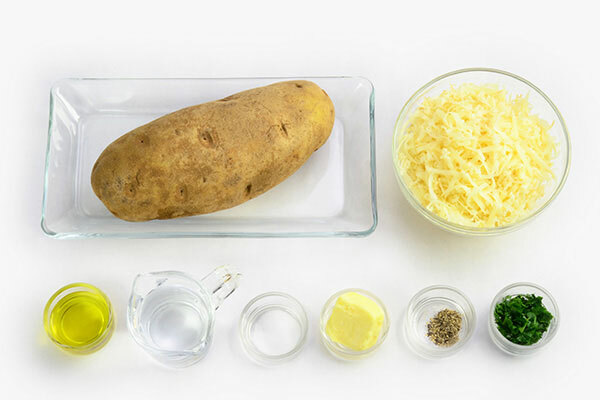 Sprinkle pepper, add butter to the skillet and top each potato slice with cheese, then cover with lid. Turn heat off and wait until cheese has melted, about 1 minute. 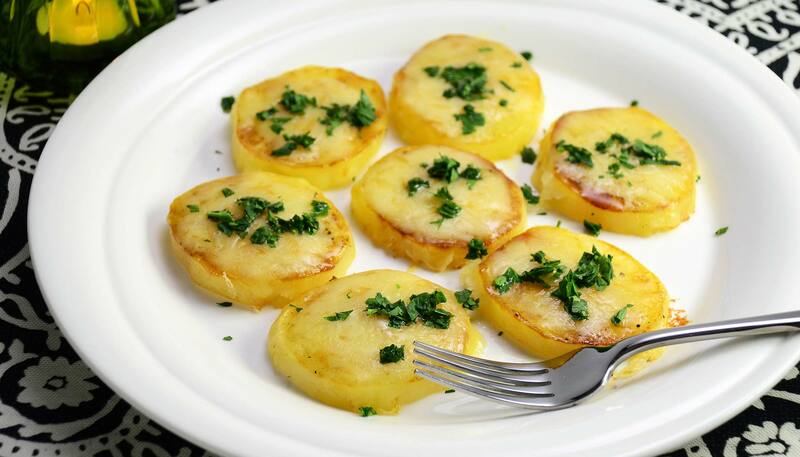 Transfer to a plate, sprinkle parsley on top and serve while hot.